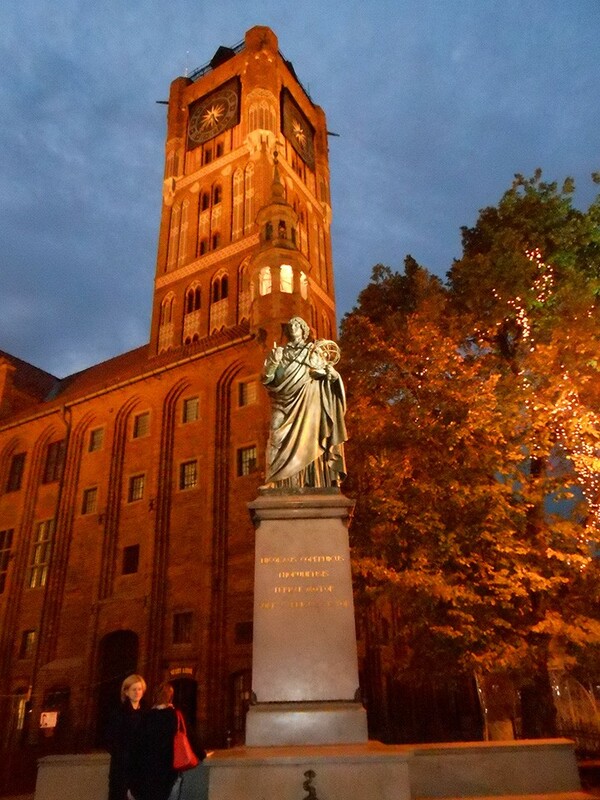 This statue of Nickolaus Copernicus serves as a focal point of Old Town, Torun. The photo was taken on a beautiful day standing in front of the University of Nickolaus Copernicus and looking towards an Old Town wide road. This angle gives the viewer an idea of typical colors, dimensions, buildings, etc. of Old Town. 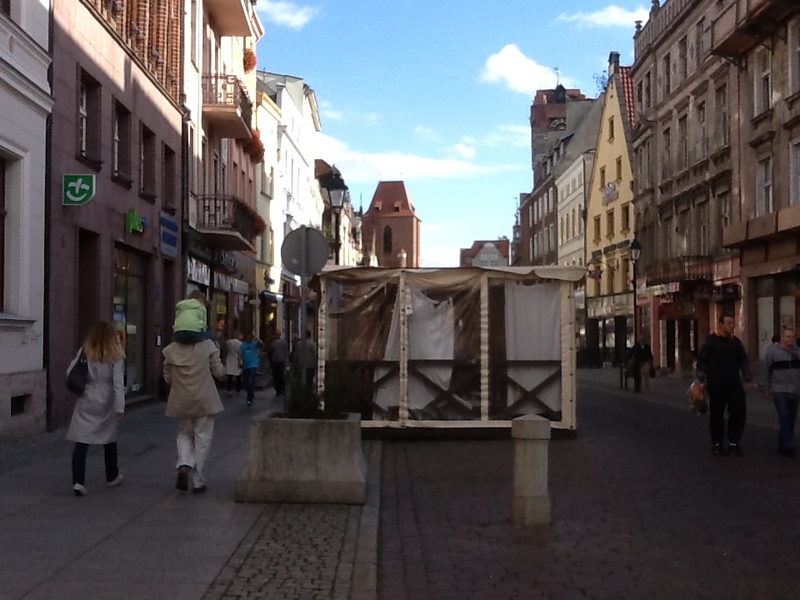 After arriving in Poland on September 8th and spending a few days in Warsaw it was off to the wonderful city of Torun, approx. a 3-hour bus ride north of Warsaw, for our (Fulbrighters and family) 9-day orientation. 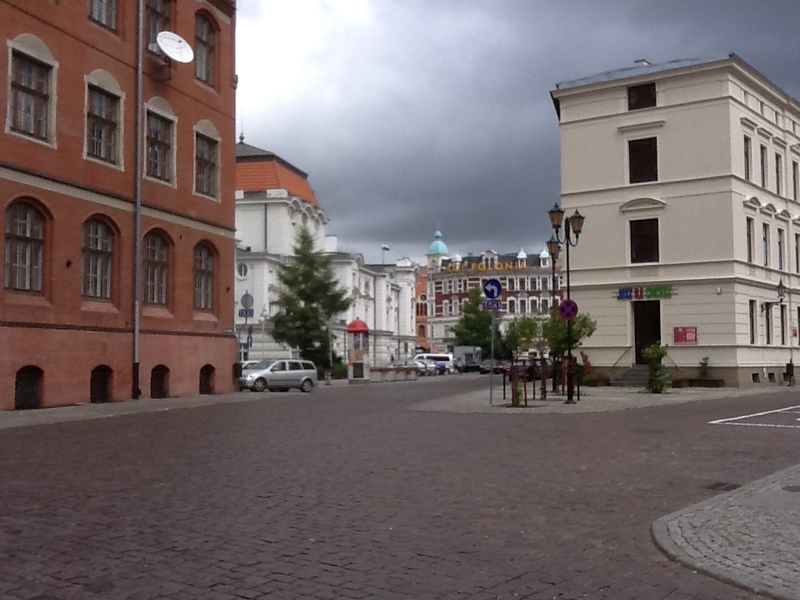 Now my fourth trip to Poland, it was in this delightful city in 2003 when I first became attached to Polish culture. A city seemingly untouched by the presence of nearby countries to the east and west, Torun is a must see when visiting Poland.